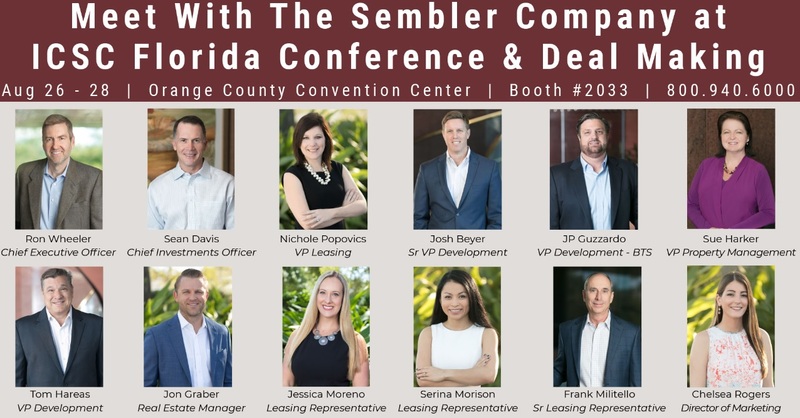 Meet with The Sembler Company from August 26 – 28 in Orlando, Florida at the Orange County Convention Center for the annual ICSC Florida Conference & Deal Making. This event brings together real estate professionals so that they can network and learn about the latest trends in the retail real estate industry. To find out more about these new developments or to make an appointment for ICSC Florida Conference & Deal Making call 800.940.6000 or email Helen Camp at helen.camp@sembler.com.